DVD’s - Item #42777 DVDs "50 Classic Westerns Collectors Edition! DVDs "50 Classic Westerns Collectors Edition! 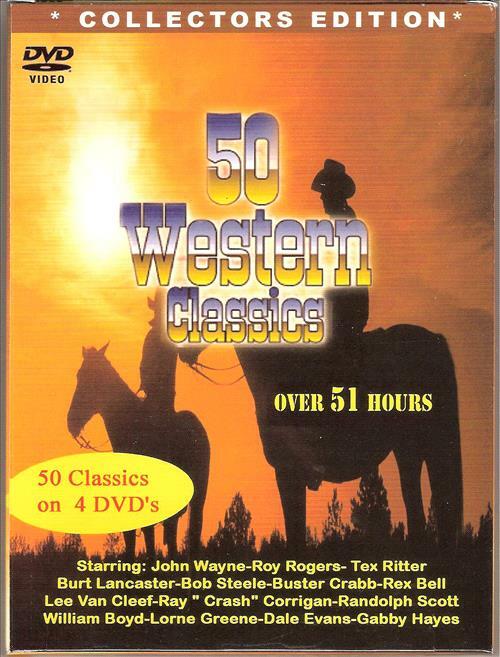 Collectors Edition 50 Western Classics These Classics come in a Boxed Set of 4 DVD's Movies include some of the Great ones such as: Sagebrush Trail, The 7th Calvary, The Carson City Kid, Sheriff of Tombstone, Vengeance Valley, The Cisco Kid and the Lone Ranger and more.